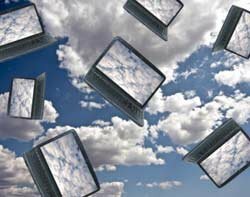 Mobile cloud services sales are expected to reach $39bn by 2016 as businesses increase spending on cloud-based unified communications, according to Juniper Research. The Juniper report, titled Mobile Cloud: Smart Device Strategies for Enterprise & Consumer Markets 2011-2016, shows spending on unified communication services - such as messaging, managed e-mail, collaboration, conferencing and IP telephony - will increase over the next five years. Windsor Holden, principal analyst at Juniper Research, said enterprise spending on cloud-based unified communications reflects smartphone and tablet device adoption in businesses to provide employees with mobile access to corporate networks and synchronised documents. Juniper said enterprises are still concerned about data security to secure access and storage of data. Holden added that enterprises must consider data outages and broadband connectivity issues surrounding the use of mobile cloud services. "Data outages have the potential to impact severely on cloud-based services unless data redundancy is improved," he said. Data outages are more crucial if businesses depend on cellular broadband networks, said Holden, adding that improvements are still needed concerning data redundancy measures offered by mobile network operators. He also advised companies to categorise data being put into the cloud as part of its risk assessment as well as considering the physical location of servers storing data. "Businesses don't need all data to be shipped to the cloud or every employee being able to access it," said Holden.